What does lawn bowling have in common with writing? More than you thought. While temporarily back in Canada we are renting a third floor condo, overlooking a lawn bowling field. I have a full view of the players from the window where I sit and write. It’s not one of those games that captures your attention with action and boisterous shouts of encouragement. Even on tournament days when the field is awash with regal white figures there are no spectators thronged on the sidelines cheering for their team or loved ones. Writing alone, devoid of onlookers and with plenty of opportunity to observe (get distracted) by the muted action below I found myself forming feelings of affinity with the players. My appreciation for lawn bowling’s slow motion complexities increased. I started to see a strong connection between it and my writing life. Maybe you will too. 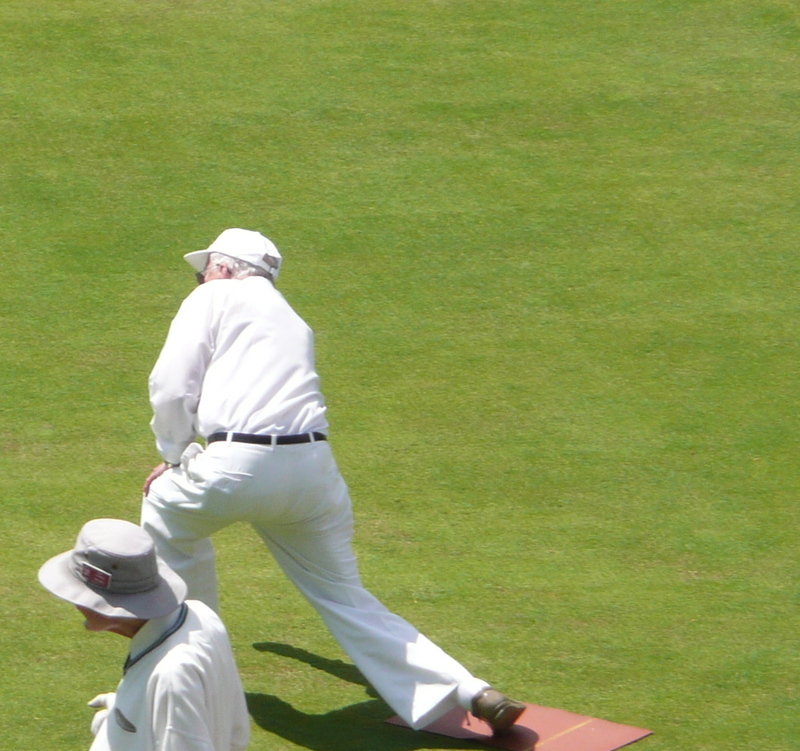 You don’t just decide to take up lawn bowling after years of inactivity. Many of the players I see are silver-haired and fit. They move like people who have made a habit of performing activities to sustain agility. Writers cultivate life-long habits to go the distance. We’ve all heard it; write something every day; create a routine; keep the word flow going. Lawn bowlers wouldn’t have the needed flexibility to roll that little ball and writers would not write (well) without making a conscious effort to avoid stagnation. Bowls are designed to travel a curved path. They’ll go in a straight line for some distance then take a turn to the right or left. 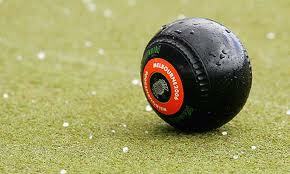 Lawn bowlers learn the ‘proper form’ to send the bowl up the green. They control the way it will turn. the more you do it the more consistent you become, it’s important to stick with it. I like the comparison between the two. Be it lawn bowling or writing (or in my case, plants and golf) it is focusing on what you love and have a passion for and gliding toward your goal and ultimately taking in the results, whether it be good or not so good. In the end, it is all good, all good. For you have tried with all your heart and haven’t watched on the sideline like a spectator. You are the maker. “Gliding toward your goal”…beautiful image, but some days the reality is falling on the ice 🙂 As you say it’s all good in the end because you pick yourself back up. I like the poetry of motion…the aim toward a goal…even though the path is “known,” the process for getting there is “curved” and not guaranteed. Each iteration of the “attempt” required adjustment and adaptation. Whoooa, Brad. Brillant! Had to read your line (re: poetry of motion) a couple of times to soak it all in. A goal. Path is there, but skewed. Curved >> adapt and adjust. We’re talking about life, ain’t we, cousin? Brad, your summary is beautifully worded, thank you for weighing in. As I build my “writing platform” I hope one day you would be interested in sharing your expertise and doing a guest piece with me; maybe Q & A or stand alone piece on forward motion and keeping motivated. Let’s do it!…And for Johnny golfing and soaking rays in Cabo, all I can say is I AM JEALOUS! I am impressed by the above comments. Hola mi Cris are you going to do lawn ball???? ?